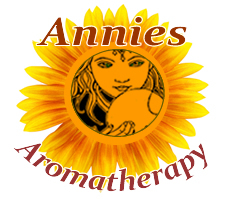 Constituents: essential oil (including humulene and caryophylene), glycoside, polysaccharide, polyacetylenes, isobutylalklamines, resin, betaine, inulin, sesquiterpene. Preparation Methods & Dosage :Dosage is key. You need to take enough echinacea, and take it frequently enough, to do any good. Capsules are convenient, but not as efficient, and quite often not as potent as tinctures. Echinacea is by no means a good tasting herb for tea, but echinacea tea can be used in compresses and poultices for external applications. 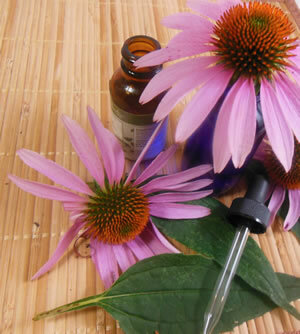 Echinacea Side Effects: Use with caution if you are allergic to ragweed. If you have an autoimmune disease such as rheumatoid arthritis or lupus, or a chronic infection such as HIV/AIDS or tuberculosis, you should not use echinacea. Nine species of Echinacea grow perennially throughout Midwestern North America from Saskatchewan to as far south as Texas. The three species most used and studied are E.purpurea, E. pallida, and E.angustifolia. They are hard to tell apart, all have pretty purple flowers except for E. paradoxa, whose flowers are yellow. 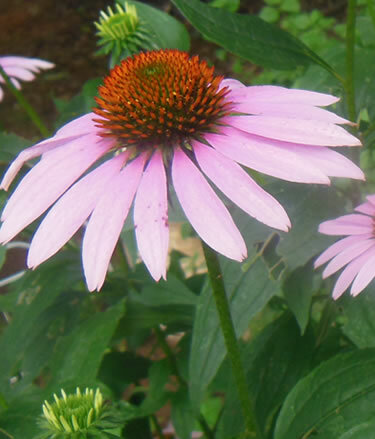 Purple Coneflowers - - Echinacea spp is on the United Plant Savers "At Risk" list. Wildcraft this plant responsibly and consider growing it if you have suitable garden space. Echinacea is a such a pretty plant, and so easy to grow it earns a valued place in the herb garden even if you don't wish to harvest the medicinal roots. There are many new and fancy cultivars with multicolored flowers, but stick with the old standards if you want to grow the plant for medicine as well as for its beauty. Drought resistant perennial. Grows best in full sun, but can tolerate some shade. North American Indians passed the knowledge of the purple coneflower on to the colonists and settlers of North America. Echinacea became a famed remedy for snake bite and for cleansing and healing suppurating wounds. 102. Duke,James, Ph.D. "The Green Pharmacy Herbal Handbook"
110. Balch,	Phyllis A, CNC. "Prescription for Herbal Healing",(	2002): Echinacea acts against Candida albicans, the microorganism that causes most yeast infections. Echinacea is useful for people with chronic fatigue syndrome because yeast infections often cause or accompany symptoms of this disorder.